Progressive death metal is really looking good in 2019. Fractal Universe just dropped by with a fresh album to make sure it keeps looking that way. Fractal Universe are a band from Nancy, France. They have been playing for the past five years since their inception. Their debut release was Boundaries of Reality, which was released in early 2015. They have played a fair deal of shows supporting their debut. They have opened for acts like The Black Dahlia Murder, Monuments, and others as well. 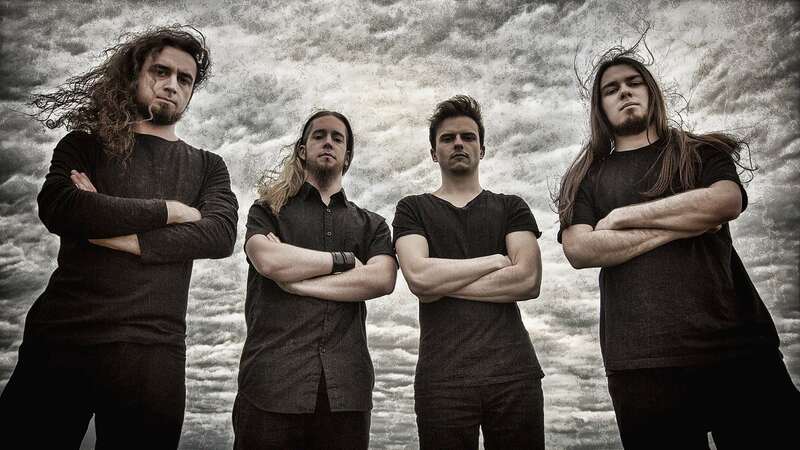 Around the time of their debut full-length release, Engram of Decline, which was just two years ago they have received a lot of exposure in the international press. Now, after being offered a deal by Metal Blade Records for their sophomore record Rhizomes of Insanity, the band climbs to new heights. Rhizomes of Insanity is a great example of how a proper progressive album should be made. While some elements in it hearken to certain old school styled aesthetics, the foundation of the record is firmly set into modern tropes which works wonders for the final product. This album is one of those ‘no ounce of fat’ kinds, which is one of the most satisfying types of records out there. Fractal Universe have definitely upped their game from all possible angles, and in the following paragraphs I’ll look at the particularities of this. The production value of the album is very well crafted. There isn’t much to bang about on this side of things. It does justice to the things that are being launched towards the listener. Every instrument has a very well defined and pleasant tone. The staging of the instruments is quite skillfully balanced, with each having their own properly pinned space in the mix, offering a proper spatial frame for the unfolding aural narrative. The separation of the layers is spectacular considering how many run simultaneously at times. There is simply nothing to reproach at this stage. The songwriting is stellar. From the first seconds, I just knew this was going to be a record that will hold me at the edge of my headphones. As I finished my first listen, I must say, I had to put it on again. It is quite a dense album, all things considered. I was most surprised by the presence of choruses that were made with good taste and in such a way that they work seamlessly with the song narratives. This is quite noticeable in “Oneiric Realizations” and “Flashes of Potentialities”. Also noticeable on these two tracks is a strong Beyond Creation influence, which also seeps into other smaller cracks across the album. I really love this, it makes the listener think of this other band, but it doesn’t distract from the approach of the band that’s playing. There is a very sweet dynamic between the overly death metal parts and the cleanly sung, slower parts. It is a dynamic that reminisces the way NAMI and/or Voices do this kind of thing. Speaking of NAMI, there’s an audible influence in “Reality to Foreclosure” along with an old school death metal flavor dispersed across, all of which are topped with an absolutely fire guitar solo. There are a lot of crazy riffy bursts intertwined with some tastefully flashy guitar work accompanied by odd metering and timing that transpire most evidently across “Masterpiece’s Parallelism”, “Architectural Aberrations”, and “Fundamental Dividing Principle”. The latter also comes with some very savory saxophone which kind of reminds us of last year’s Rivers of Nihil album. On the other side of the more slowly paced tempo sections, we’re even treated with a more sludgy or say post-metal styled song which comes in the form of “Chiasmus of the Damned” and it stands in handsome contrast with the rest of the songs. I can’t help but notice that the album closer, “Collective Engram”, is strongly reminiscent in style and placement to Sylosis’s “Quiescent”. The song offers us something of an acoustic foray into a dark and surreal coda. These steady, plodding cadences and aesthetic iterations offer deeper nuance to this already vividly painted aural trip. Fractal Universe have refined their craft. Not only is Rhizomes of Insanity jam-packed with some of the finest extreme progressive metal tunes, but it also takes the listener on an authentic journey that traverses metaphysical realms, dream worlds, infinite chasms of void, and many other otherworldly planes. This journey is rife with engagingly-paced themes and ideas, and of course a massively diverse spectrum of nuances, something which facilitates the rich depiction of the medium in which the listener is plunged. I surely had a blast listening to this album, and I’m certain many fans of extreme music will have one as well. Don’t forget to grab a copy of this when it releases. I don’t say this often since I’m a cheapskate, but it’s worth every penny. Next PostUrza - "The Omnipresence of Loss"